Jaime Hayon's take over of Milan was imminent. His warp speed ascension in the industrial design world has been well documented. 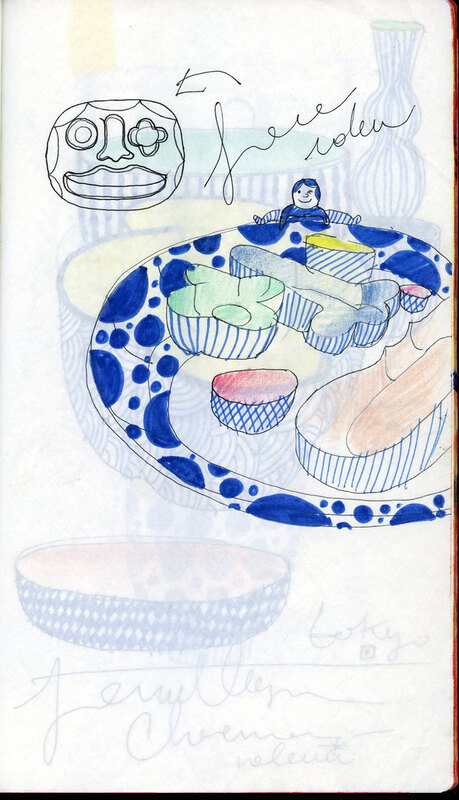 Largely accomplished in ceramics, from toys to furniture, interiors to installations and wildly abstract imaginings, Hayon's creativity knows no bounds. â¨â¨We here at Yatzer have been hot on his tails ever since he burst onto the design scene in an iconic magazine cover dressed as a sheep, then as a bunny …and I think we saw him somewhere dressed as clown! 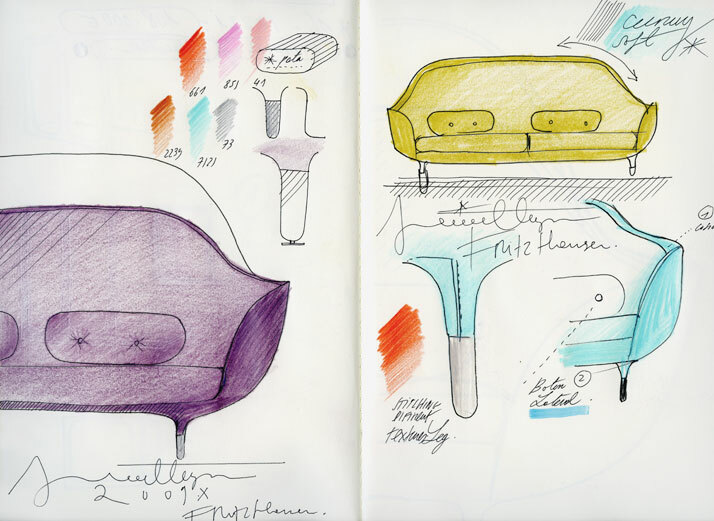 Regardless of his incarnations, we remain obsessive fans of the designer and his designs. 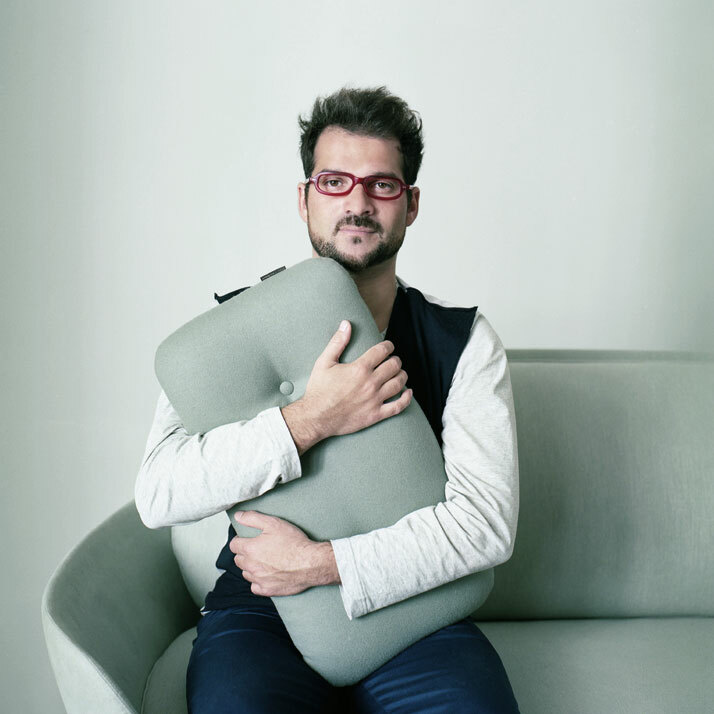 Jaime Hayon completely subverts the form follows function philosophy that most designers are compelled towards and instead injects his playful personality into everything that he does; successfully merging art & design in such a way that renders his work accessible to even the most discerning of connoisseurs from both worlds. â¨â¨This is most probably due to the way Hayon was introduced to the world of design. His first brush with design immerged via the skateboard scene, where he started out designing graphics for skateboard decks. 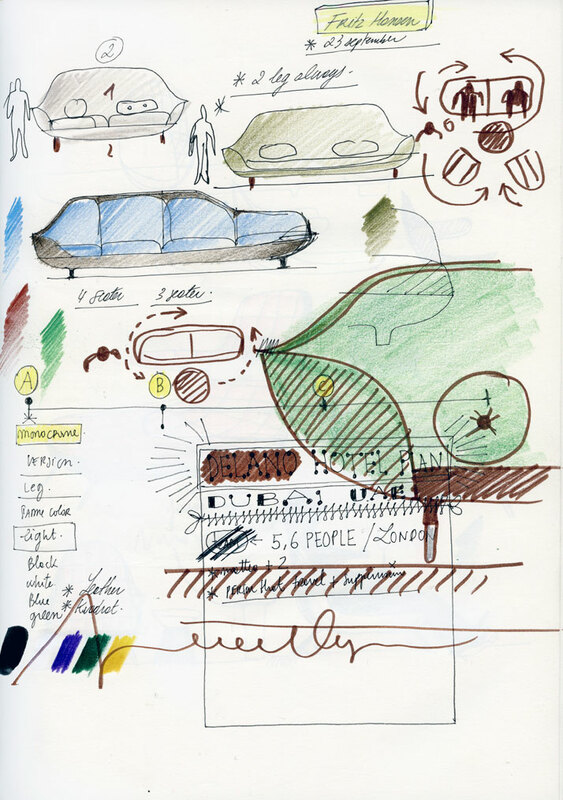 Although his work has greatly evolved into all genres of industrial design, this graphic influence remains and is most obvious in his design renderings. Discover his latest designs through the pictures that follow and some sketches which are published for the first time exclusively at Yatzer. In Milan, displayed in full splendour at the Spazio Rossana Orlandi, one of the city's most celebrated lifestyle shops, we were intimately introduced to some of Hayon's new works and reminded just exactly how supremely talented he is by way of a reintroduction to his existing pieces. TEAMLAB have created a 360° picture perspective of Jaime Hayon's installation at the Spazio Rossana Orlandi for your viewing pleasure. More 360° pictures can be found in MILANO360° officilal website. 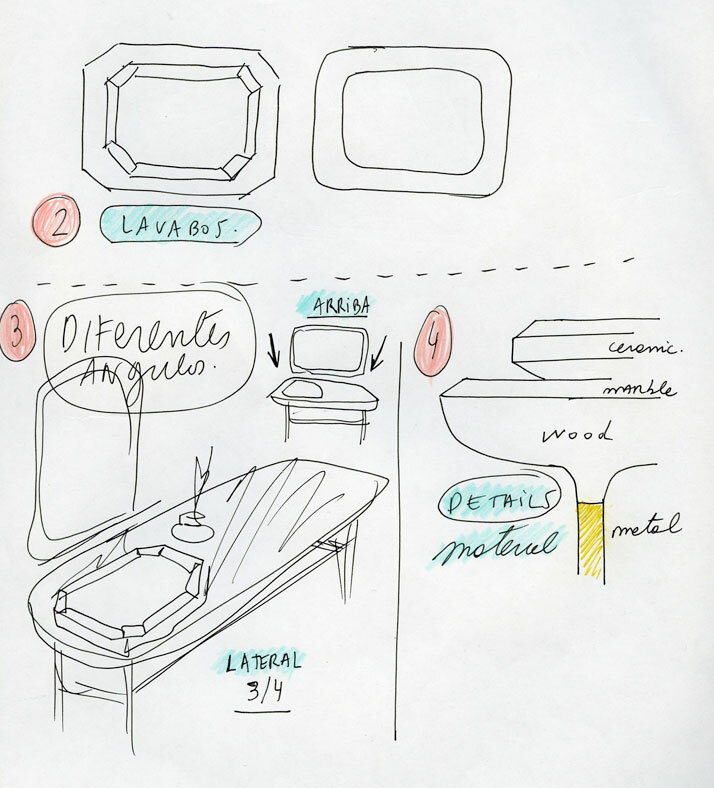 The porcelain range for Choemon, produced by Kamide Choemon-gama for the Japanese product design brand Maruwakaya, after its launch in 100% Design Tokyo in 2010, it was presented at the Spazio Rossana Orlandi this year in Milan. 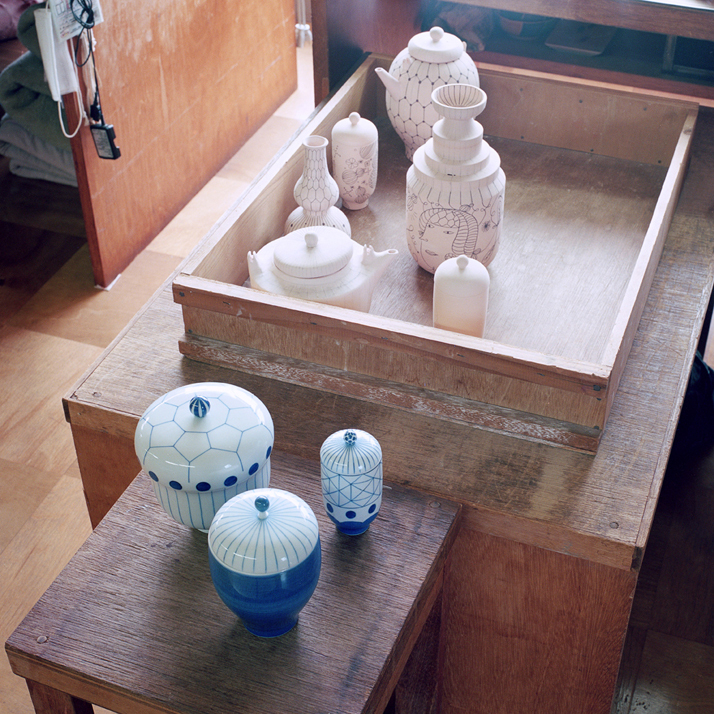 The lineage of the acclaimed Kutani porcelain can be traced back to the 1655, back to the early Edo period. This very high quality material and it's history is what Hirotoshi Maruwaka, the head of Maruwakaya, was keen to honour in the collaboration with Hayon. Theirs is a brand that does not seek to reinvent the wheel, but to honour and maintain the highly skilled craftsmanship of traditional Japanese crafts work and style, juxtaposing it with contemporary design thereby rendering the artist quality of the Japanese culture accessible to the both traditionalists and contemporary enthusiasts alike. 360° picture © TEAMLAB Inc.
As soon as you lay your eyes on the pieces, it is visually clear to see that Hayon clearly embraced the ethos of the Maruwakaya brand with its highly attuned sensibilities of the Japanese culture, and injected the pieces with his trademarks. Included in the pieces were the natural lines, constantly present throughout his body of work, as well as the illustrations that are quite distinctive to him, all harmonise to make a beautiful, highly usuable and much sought after collection. 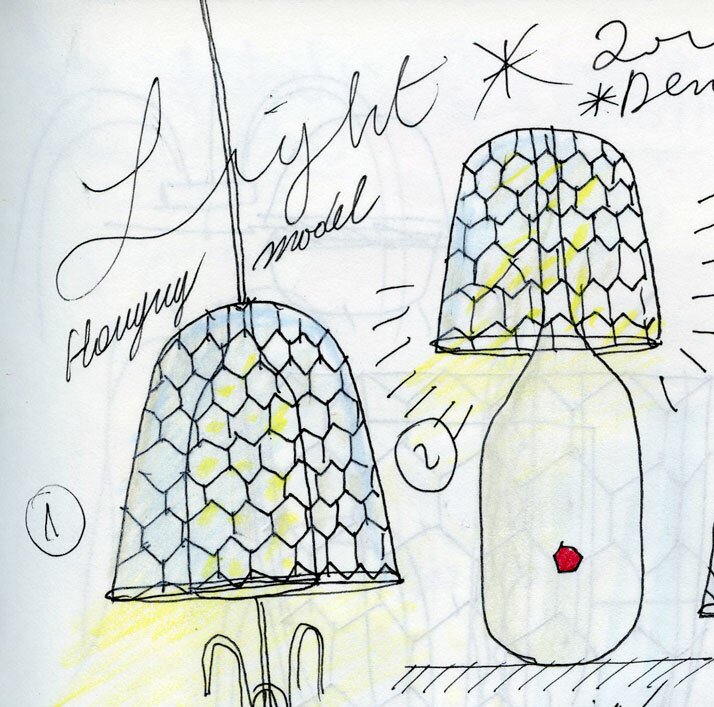 Hayon's creations for Metalarte are a collectiv of lights fancifully called Copacabana. 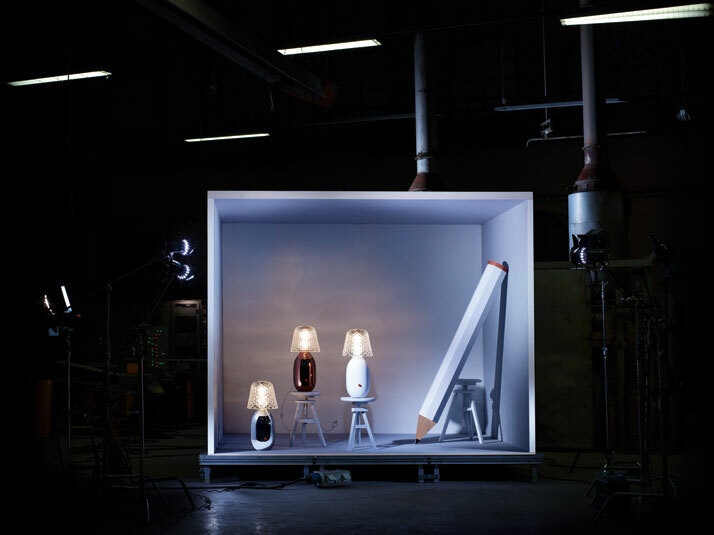 Copacabana p is the floor lamp variation of the collection; the Copacabana a is the wall mounted variation and the Copacabana t is a single pendant hanging lampshade. 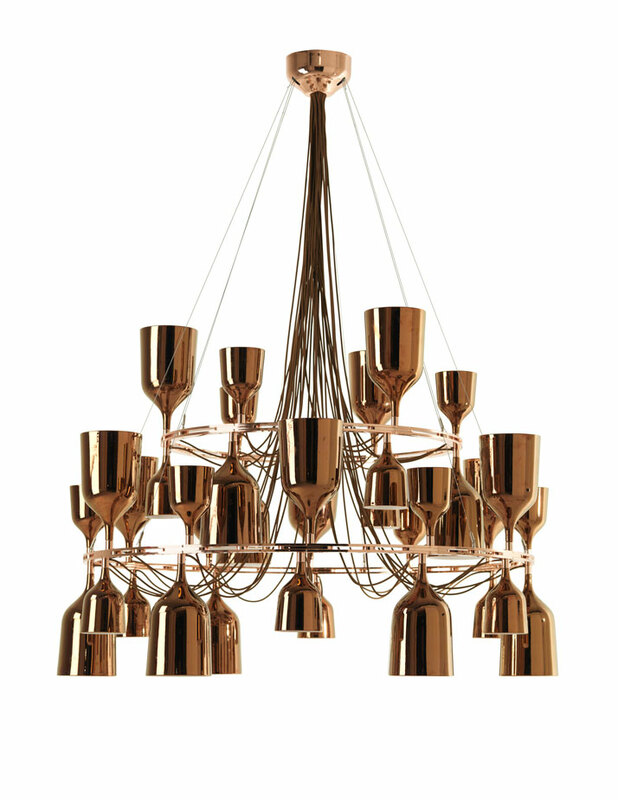 The piece de resistance of the collection is the Copacabana Queen, which is the chandelier variation of the lighting system. â¨â¨All of the Copacabana's are made of porcelain and are available in white, copper and black shiny lacquer. And they all not only exude great light, but also elegance. Both these features combine to create an understated elegance that will be a great addition to any space. 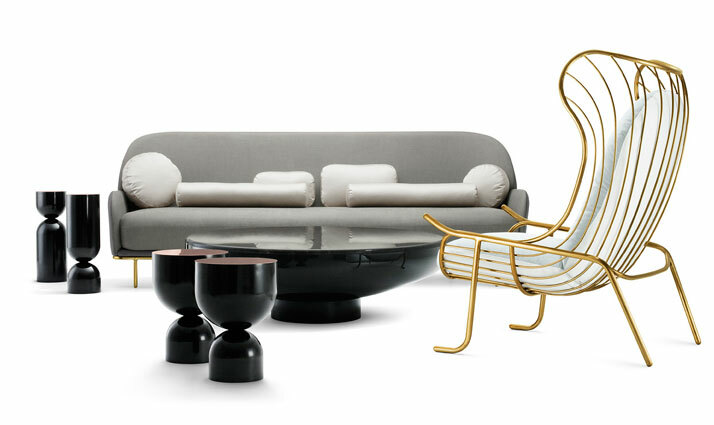 Hayon's Collection II for the luxury British furniture brand Sé was once again inspired by insects and instruments. On display for us to see at the Spazio were three new additions to the great new collection; the side tables Time Piece and Bala and the Beetley Bridge Chair. The Time Piece side tables are once again present in this collection, but this time are featured in deliciously coloured solid wood, rendering the collection light, fun and in direct contrast to the profoundness and seriousness of the solid bronze versions. The colour palette being harvested from Sé's very own colour garden. Bala utilises a minimal curvilinear line to create a piece that is keen to establish a dialogue between it and the space it inhabits with regards to the bold presence it occupies in its chosen environment. This side-table incorporates a solid ceramic base and a marble top, all finished with a choice of metallic or glossy lacquer finish. 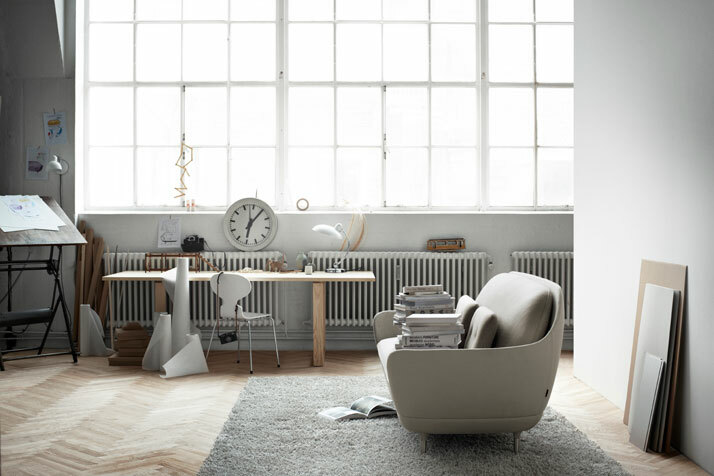 â¨â¨The beetle-body inspired and aptly named, Beetley Bridge Chair also makes a comeback. Although this time the chair enthrals us in an opulent brown leather supported by solid and sturdy dark wood legs. The combination of which renders the chair uber-comfortable, not only in perception but also in experience and a classic addition to any home. 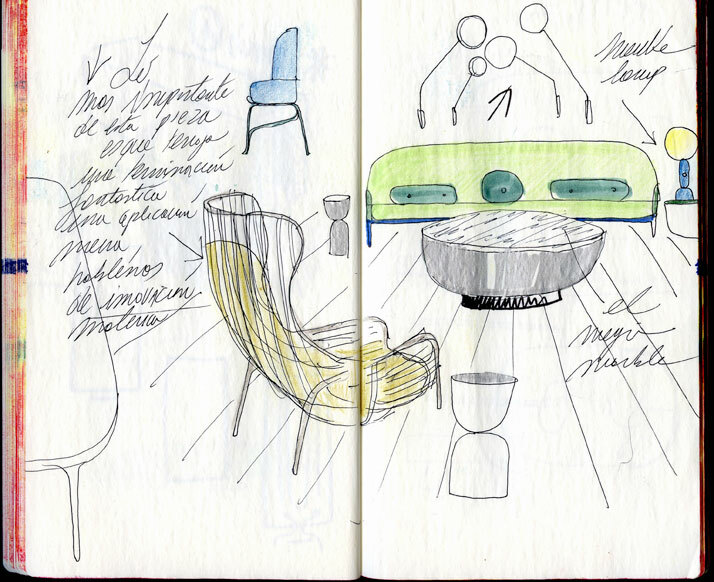 At the Fritz Hansen showroom, we gamely we fawned over the Favn! 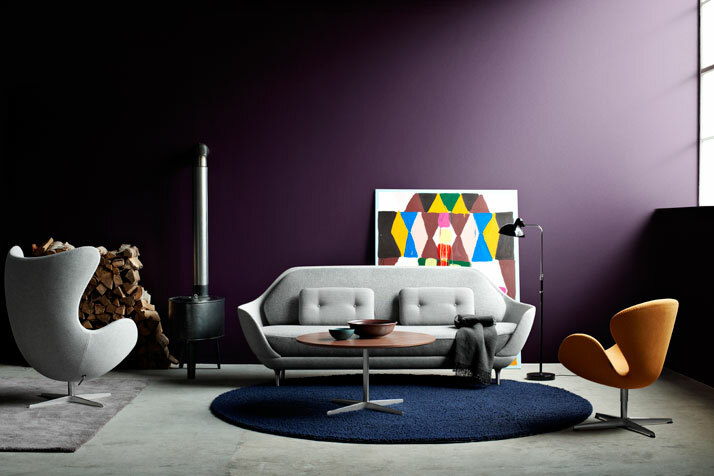 FAVN meaning to 'embrace' in Danish, fulfils the intention of the designer because that’s exactly what you want to do when you set eyes on the latest sofa designed by Jaime Hayon for Fritz Hansen. 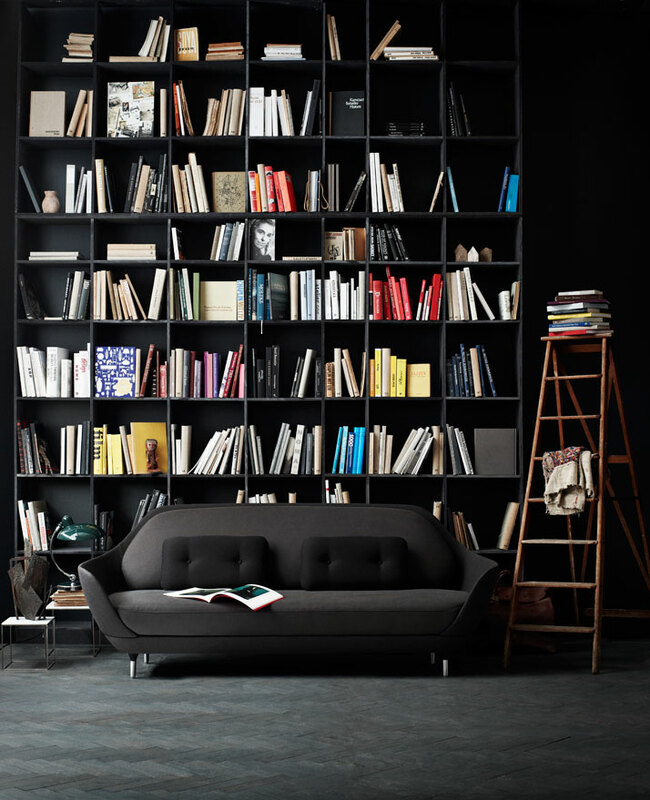 Available in ten colours, light gray, sage green, clear beige, taupe, brown, moutarde, red, purple, dark blue and black, the sofa is essentially a shell; soft on the inside and hard on the outside. The combination of textures is seemingly responsive to touch. With the seat being wide enough to be termed a haven. The first addition to our wishlist! 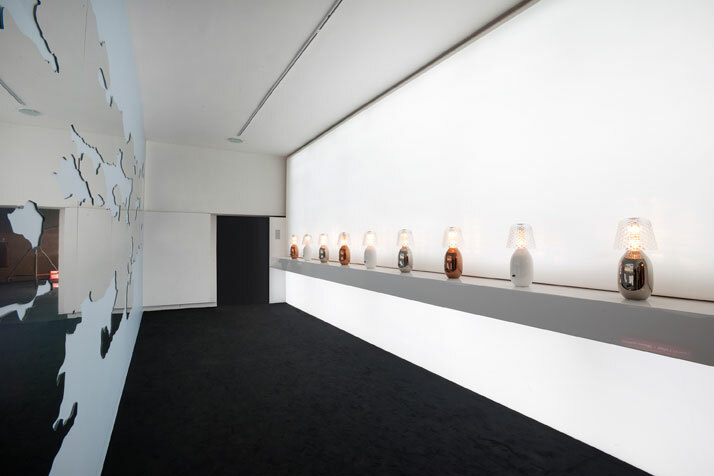 Presented at the Palazzo Morando were the Candy Lights range of three lamps Jaime Hayon designed for the exquisitely decadent crystal company Baccarat. 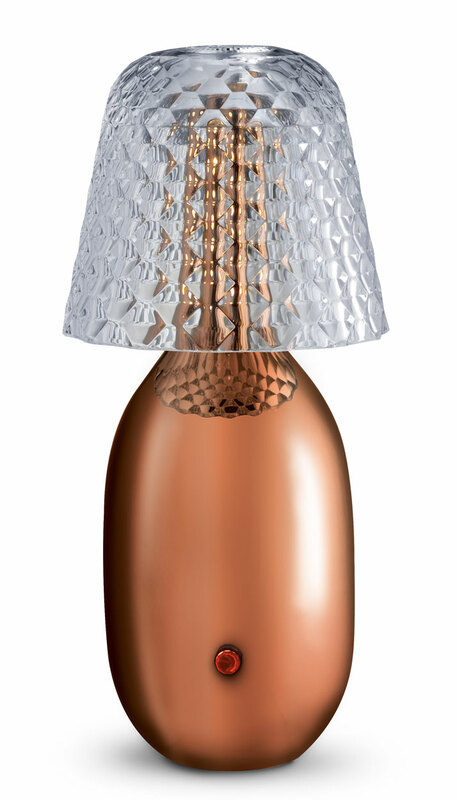 The solid ceramic bases available in white, copper or platinum are topped off with a delicate crystal glass-shade; the cut of the glass throwing off a refraction of light that resulted in creating a wonderfully warm ambience for all in the space. 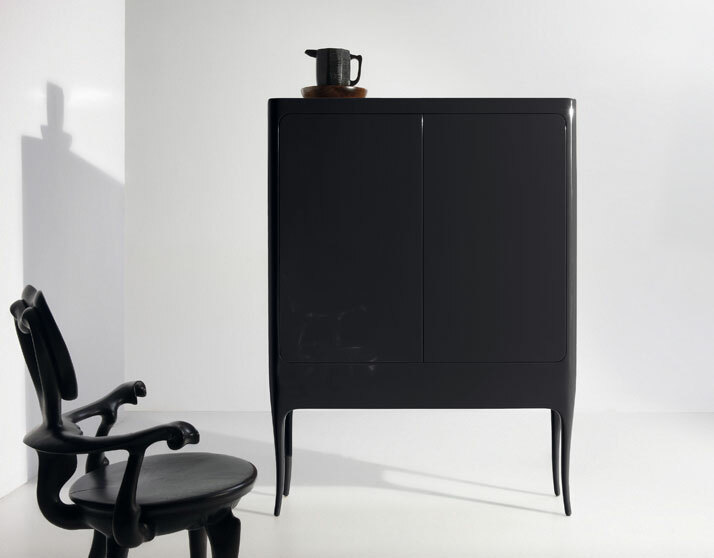 Another definite piece for the Yatzer wishlist! Bisazza Bagno is a new division Bisazza and fittingly their first range for the new division is concerned with furniture, fittings and accessories for the bathroom. At the showroom, we were presented with an exciting assortment for 'The Hayon Collection for Bisazza', which had us enchanted. 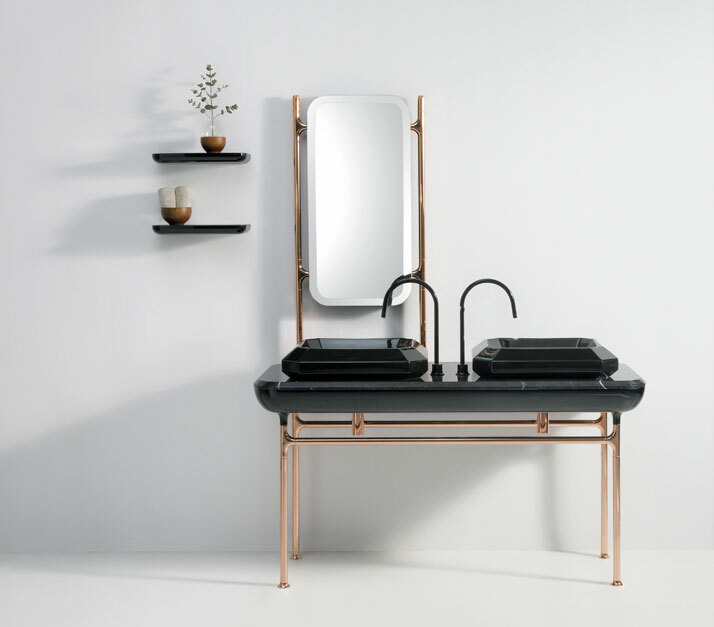 â¨â¨The presentation included a selection of bathroom fixtures including a couple of cabinets you would protest a need for; decorative, decadent yet sumptuous sinks and a highly tempting bathtub. 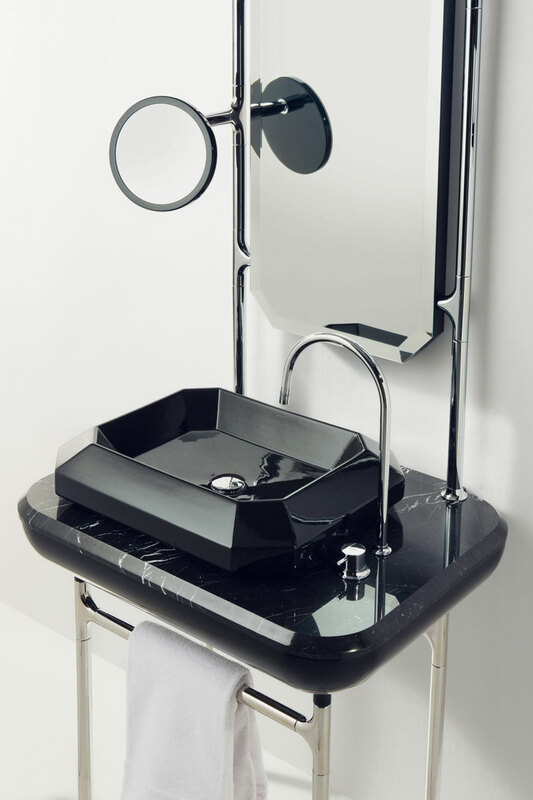 Also included where bias cut sinks, dazzling mirrors, and ornate yet simple lighting fixtures as well as a variety of accessories and decorative items all seamlessly injected with the classic Hayon trademarks of rich retro shades, organic lines and whimsy. Once again, the Jaime Hayon experience has had us from the get go. We continue to anticipate what lies in store for us at Yatzer, our readers and beyond from the Hayon Studio come next year. As always we will be there, up close, with our fingers right on the pulse! 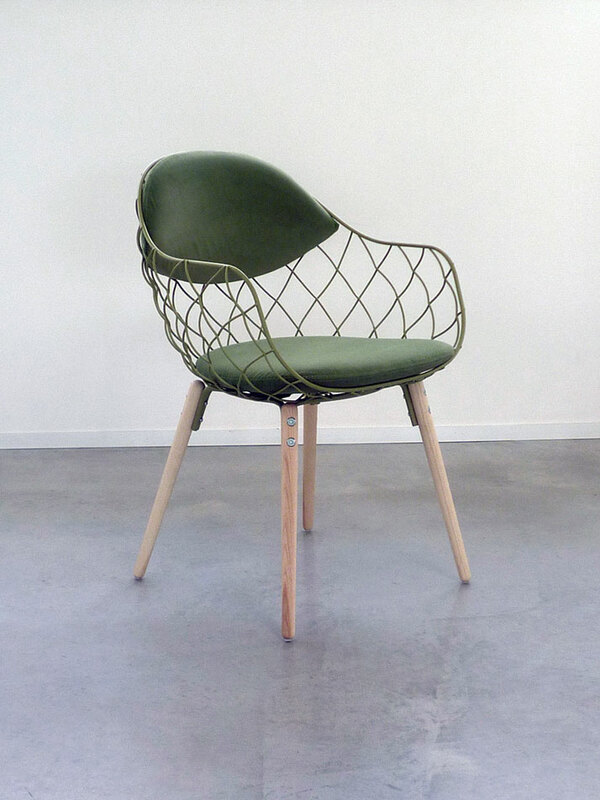 The fabulously ornament Pina chair for Eugenio Perazza's domestic design company Magis consists of a large open-weave wire structure that makes up the back and seat of the wonder-full Pina chair. The piece is finished off by four legs, left in all their raw wooden splendour. This combination of 'weightless' and 'natural' renders the piece light and with an ability to blend with little distraction into most domestic surroundings. 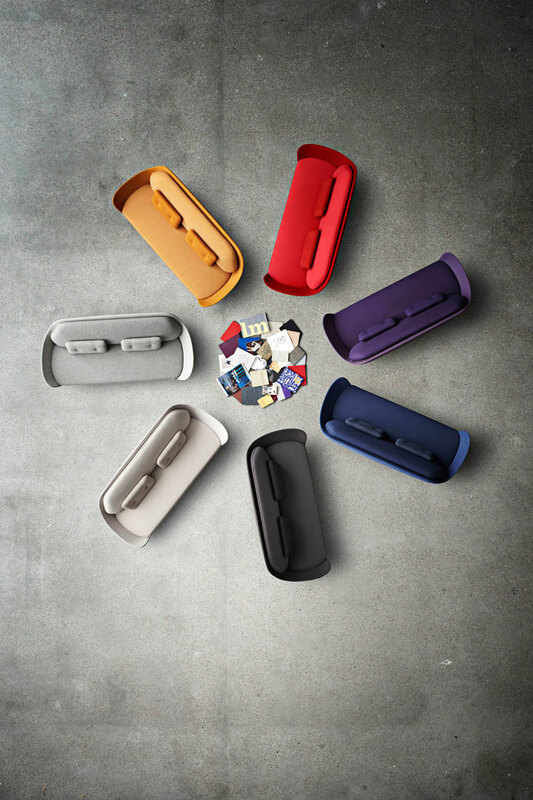 Pina comes available in a wide variety of colours.